Beaches are all about relaxing, taking in the scenery and generally having a good time. Think crystal clear azure waters, pristine white sand and palm trees gently swaying in the year round sunshine. 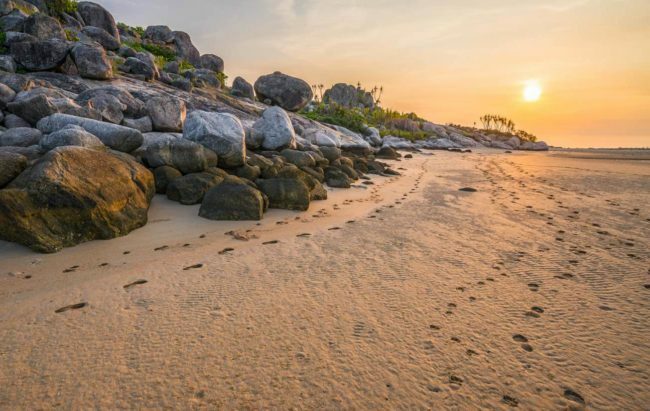 Here at Planet Deadly we are huge fans of the beach but we felt a duty to provide a short guide to some of the dangers that lurk beneath the beauty at these often popular spots. There are various reasons why beaches might be dangerous places ranging from pollution to higher potential for lightning strikes. Of course the biggest danger will always be drowning and when you look into the figures what strikes you is how often it is the same beaches that crop up again and again. The primary dangers here are powerful waves and in particular rip-currents, which pull unwary swimmers out to sea. 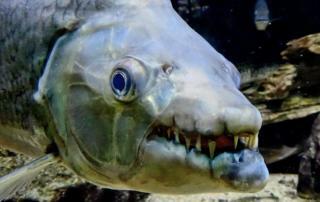 On the other hand, despite being responsible for a relatively small number of deaths, the most feared dangers at the beach are the creatures that lurk below the waves. 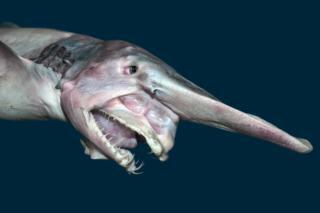 This can be anything from jellyfish and venomous fish up to huge crocodiles and sharks. 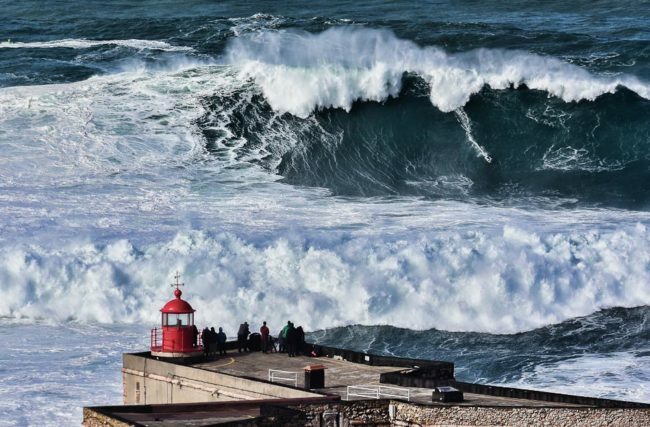 The photograph above probably gives a bit of a clue as to why Nazare in Portugal makes it onto our list of dangerous beaches. In fact you might need to look a little closer to spot the surfer – a mere spec on the face of this enormous wave. Nazare is one of the oldest and most popular holiday resorts on Portugal’s Atlantic coast. Every summer the beaches of the traditional fishing village become a mecca for holidaying Portuguese families. It is also home to some freakish bathymetry (look that one up!) with a deep oceanic trench pointing from deep water straight to the seaside town. The effect of this is to funnel already huge Atlantic swells straight to the town’s North beach (Praia do Norte). By the time the waves hit the coast they are huge, the biggest waves ever surfed in fact at over 100ft (30m). Such waves are potentially lethal to the most experienced of surfers kitted out with specialist equipment, let alone the average beach-goer. Whilst the waves at Nazare are not always bigger than houses they are often large and powerful enough to make them a danger to all but the most experienced surfers. On the positive side, the beautiful beaches of the South Pacific island of Bikini Atoll are infinitely safer than they were 60 years ago. Back in the 1950s this small island was the site of a series of nuclear tests carried out by the United States. This included the “Castle Bravo” test which was the biggest test explosion ever carried out by the Americans. What is particularly scary about this was the explosion was almost 3 times more powerful than scientists were expecting at a massive 15 megatons – 1,000 times more powerful than the Hiroshima bomb. What also surprised the boffins was the huge amount of radioactive fallout which contaminated 7,000 square miles (18,000 km2) of the surrounding Pacific Ocean. Not only did this kill some of the crew of a nearby Japanese fishing boat and poison those on several nearby islands, it has rendered Bikini Atoll uninhabitable ever since. Today tourism has made something of a return to the island and it has become a popular dive site with all those sunken ships and massive crater in the lagoon. 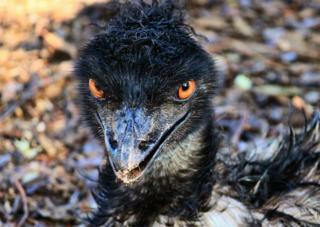 However, visitors are under strict instruction not to eat or remove anything from the island. As they like to say in Australia, if it moves, assume it can kill you! Nowhere is this more true than in the remote Northern Territory where they have all the usual menaces plus giant crocodiles and deadly jellyfish. Arnhem Land and Top End in particular is home to a massive population of both saltwater and freshwater crocodiles. This is a real shame as many of the beaches here, such as Galaru and Bawaka, are absolutely stunning; uncrowded stretches of pearl-white sand, azure waters and swaying palms. However, it’s hard to relax even out of the water when you know what may be lurking. If you were to enter the water, and we’d suggest you don’t, then there is always the risk of being stung by one of two dangerous species of jellyfish. The box jellyfish (Chironex), with its two-metre long tentacles loaded with thousands of venomous stingers can at the very least deliver an agonising sting. At worst it will kill you, especially given the remoteness of some of these beaches. The same is true of the Irukandji jellyfish which is possibly beven more venomous. In addition the sting can lead to Irukandji syndrome a condition lasting up to several days with one of the symptoms being a “sense of impending doom”. 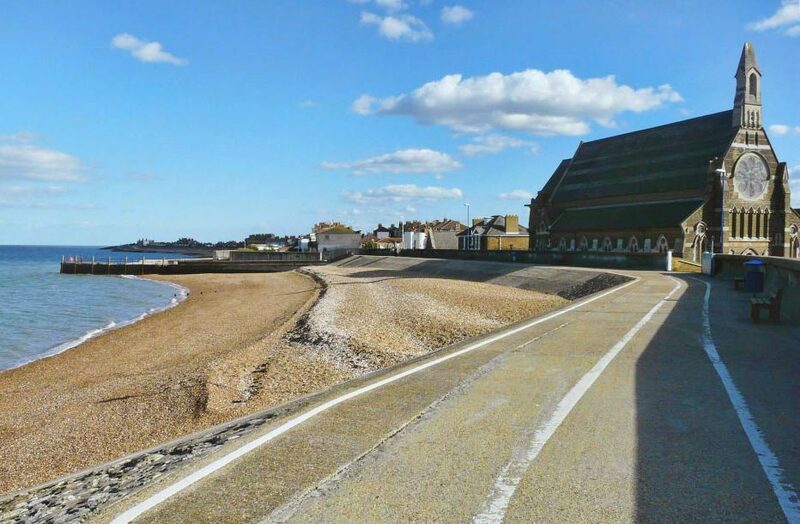 Located at the mouth of the River Thames, Sheerness is the typical example of a somewhat faded British seaside town. You won’t find palm trees or white sand on the beaches here, just pebbles and shingle sloping in to the slightly murky waters of the river estuary. In August of 1944, towards the end of World War II, the American cargo ship SS Richard Montgomery ran aground on the Nore sandbank around a mile off Sheerness. The ship was carrying around 1,500 tons of high explosives in the form of various types of bombs. Some of the munitions were recovered initially but the vast majority remain on board, considered far too dangerous to attempt to move and only becoming more volatile as time goes by. It is estimated that if the cargo were to explode it would be one of the largest non-nuclear explosions of all time. The “Halifax Explosion” that occurred in 1917 in Canada gives an idea of the carnage that such an incident might cause. Roughly twice as much explosives went off in the built up harbour resulting in 2,000 deaths and the obliteration of everything within half a mile. If the SS Richard Montgomery’s cargo were to explode the effects would be less drastic but a small tsunami and structural damage to buildings in Sheerness have been suggested. Byron Bay established itself a reputation as a bit of a hippy enclave back in the 1970s. 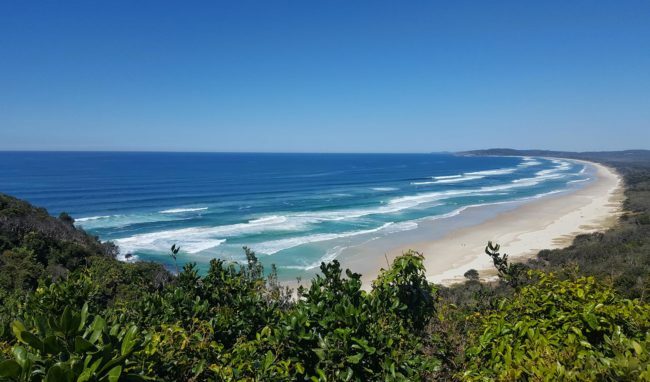 There’s no doubt this laid back vibe still persists and along with the stunning, unspoiled beaches and coastline, Byron remains a staple of the Ozzy backpacker trail. Australia has the highest number of fatal shark attacks in the World so it seems logical that the “sharkiest” beach in Australia has to be somewhere on our list of dangerous beaches. Deciding which beach in Australia is the most dangerous is a little tricky though with potential candidates coming from New South Wales (NSW) and Western Australia (WA). There is a difference though; there are twice as many attacks in NSW as in WA, but only a third as many fatalities. However, a quick trawl through the figures reveals two candidates both with 2 shark related deaths over the past 20 years – Cottesloe Beach in Perth and Byron Bay. Given that Byron had 3 times as many attacks (12) it seems that clearly this is the most dangerous beach in terms of sharks in Australia. 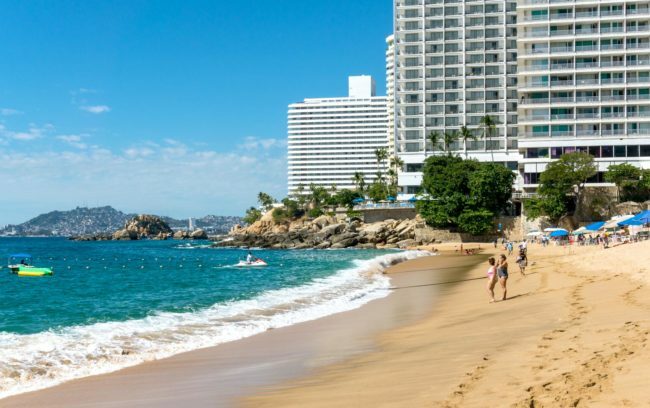 Acapulco was once the most iconic of Mexican holiday destinations. Think spring break, cliff divers, golden sand beaches and year round sunshine. While all this is still here Acapulco’s reputation as a holiday resort now has to compete with a darker claim to fame – that of the second place murder capital of the world. Over recent years the state of Guerrero, and Acapulco in particular, have become the scene of a vicious turf war between rival drug cartels. Now only Caracas in Venezuela surpasses the city’s murder rate and last year there were a staggering 2,316 murders here. In the US State Department’s travel advisories Acapulco is given a danger rating comparable to Afghanistan and Syria. They state violent crime, such as homicide, kidnapping, carjacking, and robbery, is widespread. That said, Acapulco is still getting by as a holiday resort. Admittedly numbers are way down on the heydays back in the 70s but many Americans still make it down here (and back!) and there are a growing number of Mexican holidayers visiting. The advice appears to be to stay in the touristy areas, keep your wits about you and definitely go looking to score drugs. …but nobody is in the water deeper than their knees. Look closer and you’ll see why. Along the beach are over 100 signs warning swimmers and banning surfers from entering the water. 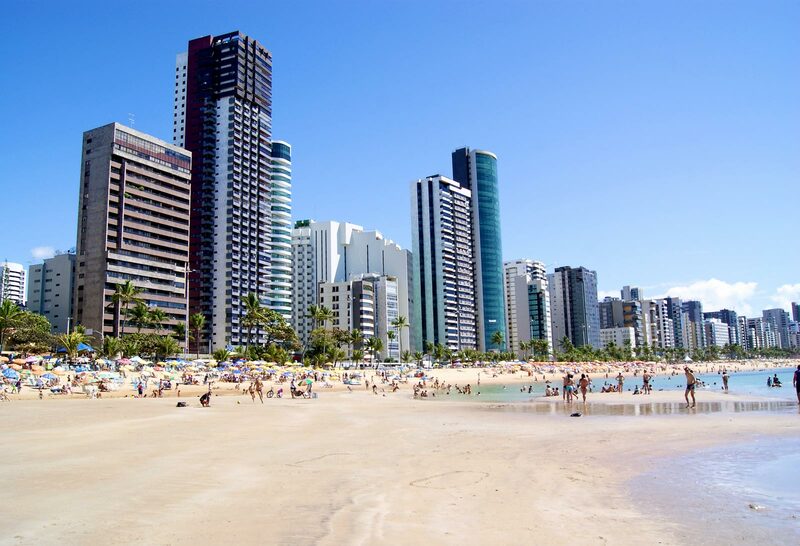 The reason why – Boa Viagem has one of the highest number of fatal shark attacks anywhere on earth. Since 1992 there have been over 60 attacks reported on this stretch of coast, 24 of which were fatal. What is strange about the beaches of Recife is that until the 1990s there were practically no attacks. It is believed the sudden rise in number was due to the development of the nearby Port Suape which involved diverting the flow of several rivers. One theory is that this prevented bull sharks accessing the rivers diverting them to the shores of Recife’s beaches. The idyllic tropical Reunion Island is a french dependency set in the Indian Ocean. With an interior of rainforest covered volcanic peaks and a coastline of coral reefs and pristine white sand beaches it should be on every beach lover’s bucket list. But beneath the often perfect waves there is a deadly menace. There is a lot of hysteria and sensationalism about shark attacks with the actual threat being minuscule. In most places on the planet with a reputation as being a bit “sharky” people tend to just carry on; swimmers still swim, surfers still surf and divers still dive. 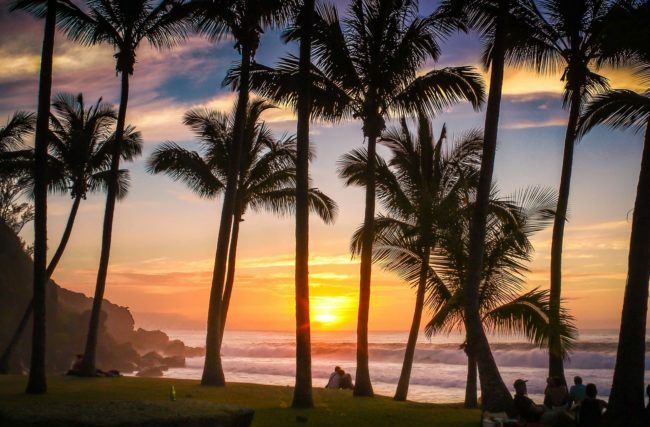 This is not the case in Reunion – for an island with a healthy tourist trade it is a pretty drastic step to ban swimming and surfing on most beaches as a result of the number of attacks. Since 2011 there have been over 20 shark attacks here of which 8 were fatal. In 2017 Reunion accounted for nearly half the fatal attacks around the world leading it to be dubbed “shark attack capital of the world”. The Andaman Islands sit on the far side of the Bay of Bengal in the Indian Ocean. Something of a tropical idyl this chain of 300 islands are home to tropical rainforests fringed with palm-lined, white-sand beach and coral reefs. Their isolated location puts them somewhat off the beaten track and this is even more the case for some of the more remote islands. North Sentinel Island is one of these remote islands and has virtually escaped the modern world. But this island, which is about the size of Manhattan, is not uninhabited. It is home to the Sentinelese tribe, possibly the most isolated and most dangerous tribe on earth. Very little is known about the Sentinelese including how many there are. Estimates vary from between 15 and 500. What is know is their way of life appears to have changed little since the Stone Age and they don’t like visitors. Various attempts at contact with the tribe have been made over the years but nearly all have ended in a hail of arrows being fired at the visitors. 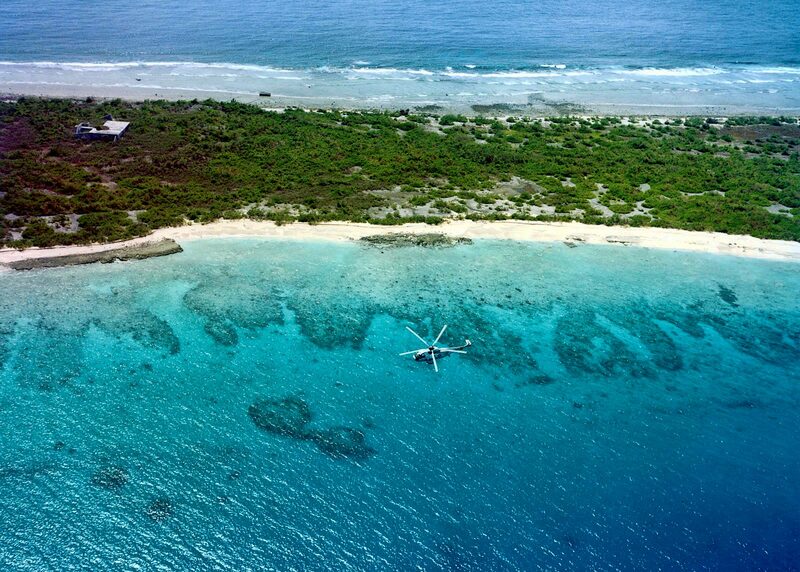 The last visitors to North Sentinel Island were two fishermen poaching mud crabs in 2006. It is thought the men fell into a drunken sleep whilst the boat was moored but drifted towards the shore where they were attacked and killed. When the Indian coastguard sent a helicopter to recover the bodies the tribe responded by firing arrows at them. 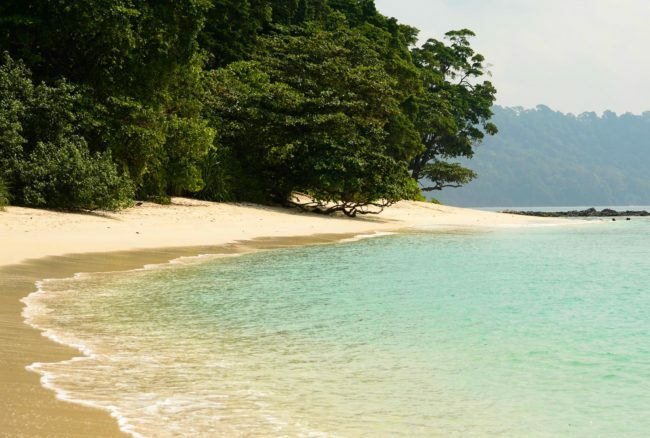 Of course there are plenty of other beautiful beaches to be found in the Andaman Islands which won’t result in a high chance of death, but very few can claim to be this unspoilt. 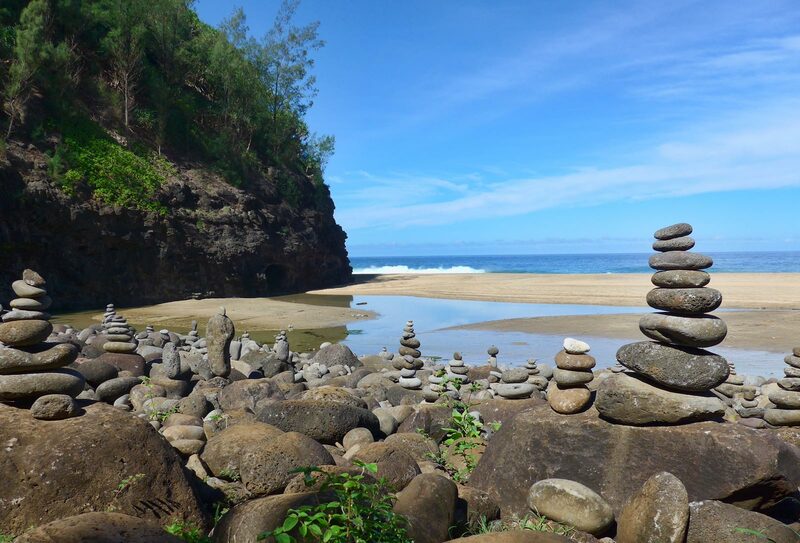 The beautiful and secluded Hanakapiai beach is located on Kauai’s Nā Pali Coast. However, if you do make the long hike along the Kalalau Trail through the woods to get here you will be greeted with a warning sign which keeps a tally of the number of people who have died here. The number currently stands at over 80 people. It seems that Hanakapiai beach is one of the most dangerous places on earth to go for a dip owing to a combination of factors. Firstly there is no lifeguard here, and possibly no one else to help either, but this alone offers no explanation to the shocking number of drownings here. Unlike much of the Hawaiian coastline there is no offshore reef here to provide shelter from the power of the ocean, but it is the strong riptides here which are the killer. These unseen currents are formed by the water the waves push towards the beach draining back out to sea. They are swift and it is almost impossible to swim against them – the only way out is to swim across them. In addition anyone unfortunate to end up in the rip is not going to find anywhere to swim ashore for several miles as the rip pulls them westwards. #5 Ends with “definitely go looking to score drugs.” I’m hoping this is an unfortunate typo because that seems like terrible advice for such a dangerous city….